I had to read this twice to be sure it was satire. 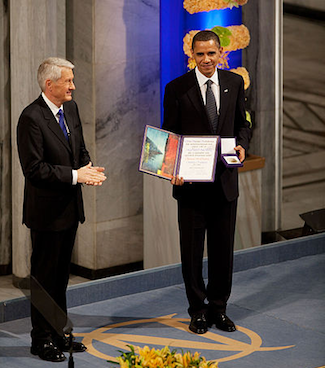 If they could give him a Nobel Prize essentially just for being elected, then giving him another for a failed policy is far from implausible. Honest Mistake. This IS A-Ma-Zing Satire! Who would have thought that a Jew-hating Muslim would make Israel’s enemies into…allies of convenience anyway.